A nice finish to what I’ve decided now to call Stout Week. It was an unofficial celebration that started on St. Patrick’s Day with a McGovern’s Oatmeal Stout (Belfast Bay, Maine), a beer that was impressively identified by my friend Jess by a postage stamp-sized corner of a label from this picture on Monday. 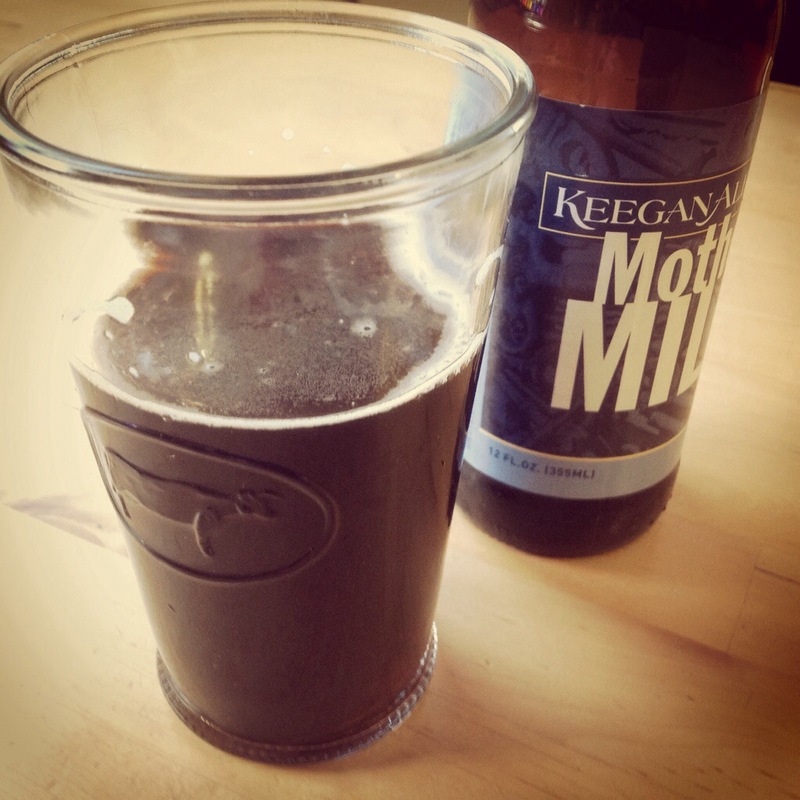 My favorites were the McGovern’s, Eric’s Old Barley and Chain (good luck finding this one; can sometimes be bartered for with rye bread and corned beef, or shared when visiting the garage on brew day), and Keegan’s Mother’s Milk. Old favorites of mine that I’d like to include for next time are some heavy hitters: Founder’s Breakfast Stout, Young’s Oatmeal Stout, and Rogue’s Shakespeare Stout. Any other recommendations? 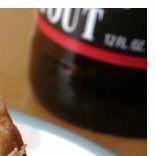 This entry was posted in brew and tagged beer, oatmeal stout, stout. Bookmark the permalink. I haven’t done a side-by-side comparison, but Left Hand Milk Stout is one of my go-tos out here.